Blog PLANNING YOUR 2019 AGRICULTURE SEASON! Although we have just experienced our first big snowstorm of the year, it is good to warm up by thinking about your next gardens! Here are some tips from Marie-Anne, the manager of the urban agriculture program, to help you plan your new garden. Step 1: FIND YOUR GARDENING OBJECTIVES! Is it more for pleasure, such as greening your yard or filling your fridge? This is the first thing to think about and will help you determine later the other elements. Another point to keep in mind is that it is also important to want to grow vegetables we love and leave a few places for discovery! STEP 2: WHERE DO YOU GARDEN? By knowing where you are going to garden, it will be easier to determine your needs and your type of crops. For the needs of the majority, we will focus on gardening in soil, but it is quite possible to experiment with other types of urban agriculture such as hydroponics and aquaponics. Do you have access to a parcel of land? If so, are you familiar with the quality of the soil? If you answer no to one of these two questions, it is best to garden in containers. There are several types of containers: standard gardening pots, type “smart pot”, in reusable containers such as yogurt pots, recycling bins, and barrels. However, I must admit that my favourite container is the self-watering container created by Alternatives. 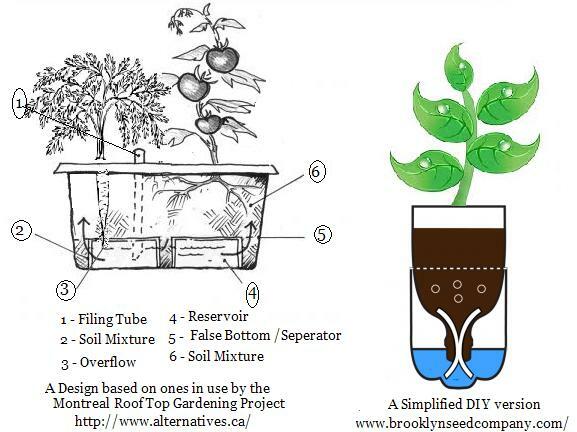 It will also be possible to come to one of the fabrication of the self-watering container workshops in April! If you own a piece of land, an interesting way to cultivate on as much a small or a larger space is in a bio-intensive way. 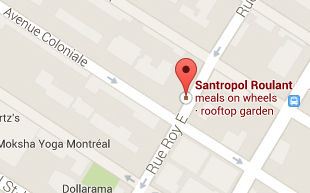 The one who popularized this method in Quebec is Jean-Martin Fortier with his book the Market gardener. STEP 3: WHAT TYPE OF SUNLIGHT? 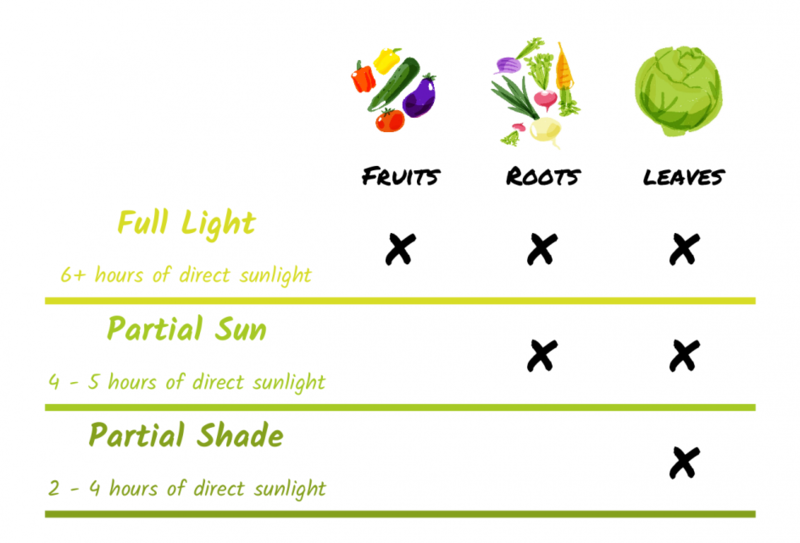 It is important to take into account your sunshine time, so the length of time in hours that your garden receives sunlight per day and the orientation of the sun during this sunshine (North, South, East or West). The ideal sunshine is the maximum of hours of light, but more specifically, it is the morning light that is most direct. As for orientation, the one that brings the most sunshine is the southeast orientation. STEP 4: DO YOU HAVE A SOURCE OF WATER? Do you have access to a nearby faucet? Depending on the distance and area of ​​your garden, garden hoses can become your best friend! Otherwise, for smaller areas, the watering can also works very well! For ideas of size, it is important to think of a more complex irrigation system potentially including drip pipes. If you do not have any water sources nearby, it would be necessary to create one, for example by installing a barrel of rainwater. The first question to ask is: what is your favorite vegetable? Subsequently, depending on your goals, your type of soil / container, the space you have and your sunshine, some crops will be more appropriate than others. The cabbage family (cauliflower, broccoli, kale) does not require much sunlight like the majority of leafy vegetables and is very tolerant of cold weather. However, these are crops that take a lot of space in your garden. While the group, called the Cucurbicaceae, which include cucumbers, melons, and squash, is very different. It requires maximum heat and also takes a lot of space. These are very demanding crops. Leafy vegetables (spinach, mesclun, lettuce, arugula), root vegetables (carrot, beetroot, radish) and bulb vegetables (leek, garlic, onion) are all crops requiring little sunshine, very little space and are relatively easy to maintain (a little more demanding in bulb vegetables). The Solanaceae family is usually the most popular of the vegetables which include tomatoes, aubergines, peppers, peppers, potatoes and so on. These are demanding crops both in terms of sunlight and nutrients. Legumes, which are beans and peas, can enrich your soil with nitrogen (an essential nutrient for all types of plants) and many require stakes to climb in height. Easy to maintain, but still, need full light. Finally, herbs (dill, basil, mint, parsley, thyme, sage, etc.) require a minimum of 8 hours of sunshine but grow relatively well and require little space for the majority of species (attention to mint and oregano which can become quickly invasive). For more information on this subject, I advise you to visit the websites of Cultive ta ville, as well as the Botanical Garden . Also, gardening workshops 101 and 201 will give you all the information you need to maintain your garden! It is important to take the time to visualize your urban gardens for next year. Thus, thanks to the tips explained above, you can decide to place your selected plants according to their needs in your culture space (see the image of this article as an example of the plan for the green roof this summer!). First, observe your living place to see your hours of sunshine and also if you have interesting structures nearby for certain types of crops (example: a fence for climbing peas!). By making your plan every year, it will be possible for you to consult them the year after. This will allow you to note what worked well versus what should be changed. This will make it possible to plan and improve your gardening by, for example, crop rotations. A good reference site on this subject is Garden Planner. Who says planning, says schedule. Your calendar will help you plant your seeds and seedlings at the right time throughout the growing season. It’s your best ally. The horticultural calendar of the Botanical Garden is an excellent resource and is adapted to the Montreal climate. So you will find the dates to start your planting as well as to transplant them after the last freezing day (usually around May 3rd in Montreal). On the other hand, not all vegetable crops need to be started in seedlings, many are called direct seeding. This means planting the seed directly into the soil to be cultivated. Cilantro, bean, radish, carrot, beetroot, spinach, mesclun, and pea are all direct seeding crops. You will have more information about this if you come to our seedling workshops! 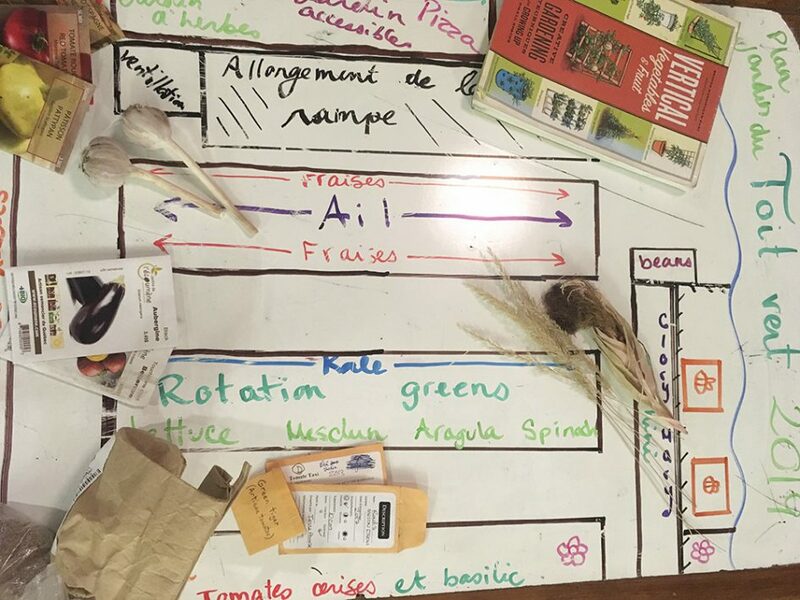 The Montreal Seed Festival is a great way to educate yourself with a series of workshops and access to professional seed companies to get everything you need to grow your future vegetable garden! This is one of the only times when you have access to all kinds of seeds such as those certified organic, those that are indigenous and therefore adapted to our climate, or heritage or open pollination. Otherwise, a supply of organic and local seeds is open year-round at our General Store. You will find many seeds of the Tourne-Sol Cooperative Farm and other essential elements for gardening (chicken manure, marine compost, seedbed, potting soil for urban vegetable garden). And now, after completing all these steps, it will soon be time to start your seedlings and slowly spring will arive!